There is a huge misconception among the western society that women are given no rights in Islam. The only thing the western media has been able to project is that man is the dominant gender and women in Islam are supposed to obey them like herds and sheep. Unfortunately this is the only angle that most of the people know about. There is so much knowledge to share that i might have to distribute this knowledge in 2-3 articles. Let’s start with some of the common misconceptions. The very first misunderstanding is that women are not equal to men. There is no superiority of a man on the basis of the gender, yes, man is made the head of the family, but that adds to his duties. He is to be responsible for the food, clothes and shelter of his wife and children completely. So Islam made the man head of the family and added more responsibility with the honor. Woman can do jobs to earn money, but that money will only be hers, she does not have to buy household items if she does not wish to. No matter how rich the woman is the man is responsible for providing her with basic necessities. Spiritually the only superiority one can have on another is on the basis of Piety and righteousness in Islam. Prophet Muhammad (Peace be upon him) said Superiority is on the basis of piety and good deeds. Adam and Eve both disobeyed Allah according to the Quran, repented over their sins and then they were forgiven whereas in bible in Genesis ch.3 only eve is held responsible. Not only that, we are all apparently sinners because of Eve (Peace be upon her), when we are born, according to the doctrine of ‘Original Sin’. The Quran shows no agreement over such premise. But in the Quran in Surah Nisa, Ch.4, Verse No.1, it says, ‘Respect the womb that bore you’. In Surah Luqman, Ch.31, Verse No.14, it says, ‘We have enjoined on the human being to be kind to the parents, in Labor upon Labor did their mother bore them and in years twain was their weaning’. 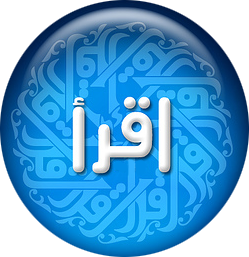 Both men and women in Islam have to pray and fast as it is “Farz” (obligation) for them. But women are given compensations, like during menstruation and pregnancy she does not have to offer prayers five times a day and keep fasts. 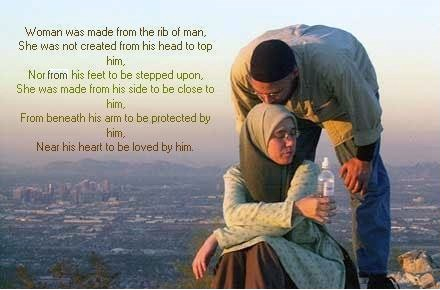 The only thing to understand is that, Women are not treated as subordinates in Islam but as a delicate gender, that needs to be taken care of. She is respected, loved and protected in Islam in every possible way. We will continue further in the next article.